Our Summer Rose and lily bouquet is a beautiful arrangement of long stemmed fragrant lilies accompanied with beautiful deep water and memory roses expertly hand tied by our talented florists. This is a bouquet that is sure to delight and comes with a FREE box of Belgian chocolates. 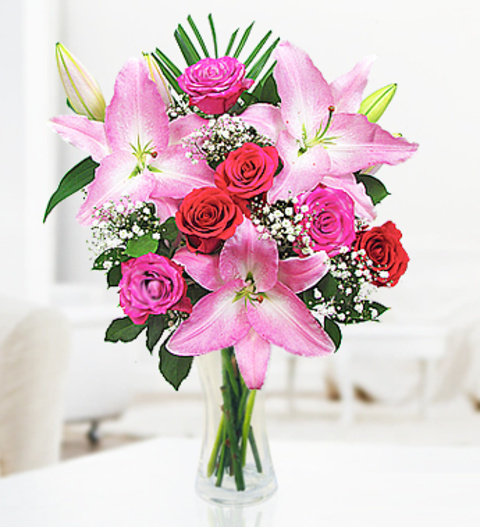 The Summer Rose and Lily bouquet is available for UK next day delivery. Chocolates may contain nuts.